The new distillery and visitor experience are located on the stunning Easter Elchies estate, which has been home to the leading luxury single malt since 1824. From humble beginnings, the brand has risen to become the leading international single malt by value and enjoys leading positions in some of the world’s most significant Scotch whisky markets including The USA, Taiwan, and Japan. 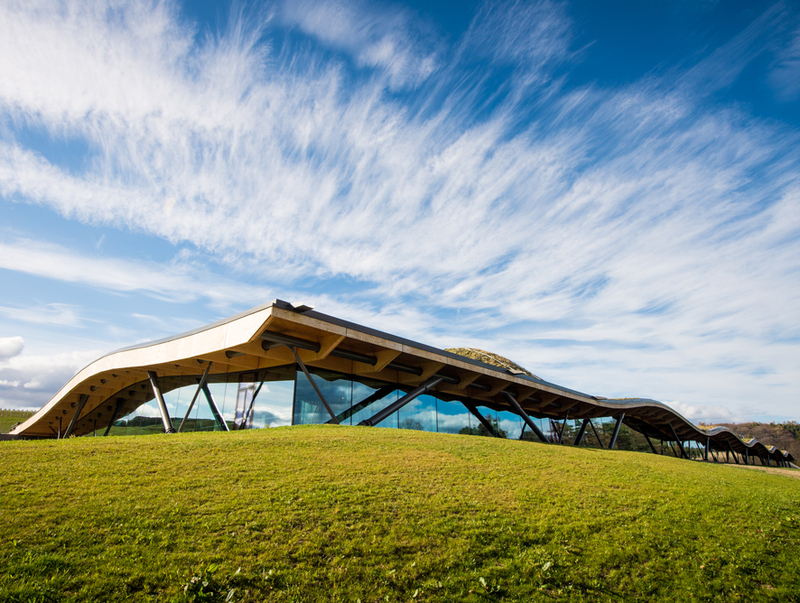 It is the first distillery in Speyside to be designed by an internationally acclaimed architect, Rogers Stirk Harbour + Partners, who was selected to lead the project after an international competition. The new distillery will enable the production of The Macallan to increase by a third if required. 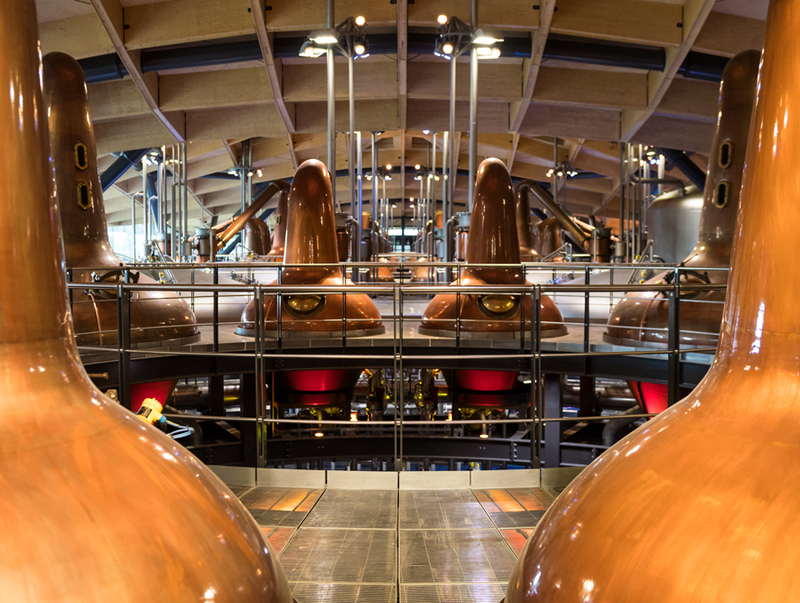 The new stills were crafted by Scottish coppersmiths Forsyths, who have been making the brand’s distinctive, ‘curiously small’ stills for The Macallan since the 1950s. Up to 400 workers on site at one time, representing 20 different trades. Over 3 million hours on site without a loss time accident (where someone is off work for more than 7 days). Various nationalities involved. Inductions in four languages; Polish, Lithuanian, Bulgarian, Austrian. Length: 120m north to south, 68m east to west. Height at highest point 24m. Reception to the peak of dome 18m. Made up of 380,000 individual components including 2,500 triangles, each of which comprises 50 different parts. Over 14,000sqm of turf used. Structure tested in over 160 different load conditions to understand movement. Due to the geometry of the building, Wiehag developed a bespoke parametric model where everything interlinked. Vapour control and resi-flex-waterproofing which is bespoke to work with the movement of the roof. The roof is insulated to protect the meadow from becoming too dry. Irrigation system takes water from the River Spey to stop turf from drying out in the summer months. Full irrigation and lighting protection system in place. 800 tonnes of structural steel used. 500mm diameter steel tubes with a wall thickness of 40mm. Pioneering GPS technology used for excavation. Wood from Scandinavia, sanded in Germany, shipped to Austria for assembly and then moved to Scotland. Briggs lauter tun running a 17-tonne mash. Glass used is 60mm thick. Glass fins were redesigned away from the steel to keep the vista. Concrete polished in Belgium by Decomo, the only concrete polishers that had tables large enough to polish the panels, which are up to 5m in radius. There was a need to separate the distillery and visitor experience with a with a two-hour fire wall. The largest glass wall available was up to 5m, therefore a bespoke 10m high glass wall had to be constructed. The component parts were individually certified and assembled, and then set on fire to demonstrate the wall complied with the two-hour fire rating. 398 archive bottles, 9 decanters and 9 flasks on display in the Jewel Box. 3,275 sample bottles displayed on the natural colour wall. 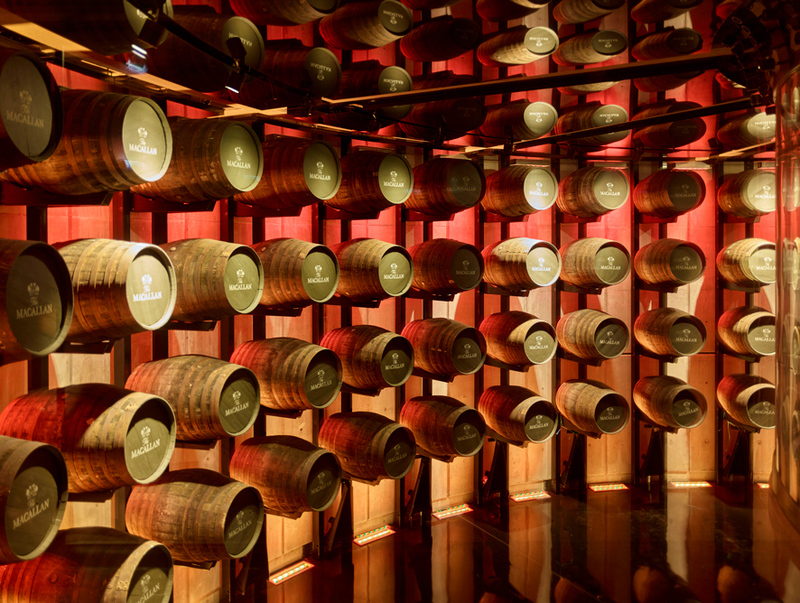 Click here to view The Macallan Australian range of whiskies.